If we see Auckland rack up 10,000 new dwelling consents for the 2016 calendar year - and that's still a big 'if' - I for one hope we don't see self-congratulatory press releases from the Government marking that 'feat'. The fact is any such gratuitous back-slapping would be disingenuous in the extreme, given the rates of growth the Government has previously targeted and the razzle dazzle and huff and puff of initiatives the Government has launched, such as the Auckland Housing Accord. This Government for a long time rejected doing anything about demand pressures in Auckland, even as houses become more and more unaffordable. Instead from about 2013 onward there were a variety of initiatives and some big talk about ramping up supply. So, it has been left to the Reserve Bank to quell the demand side while now, increasingly, it's becoming clear that the Government's supply side initiatives have not done the trick. The Auckland house building market is proving the point that all the Government song-and-dance in the world is not necessarily going to make 'the market' move if the market doesn't see conditions as right. And clearly the market forces in Auckland have not responded the way the Government hoped. 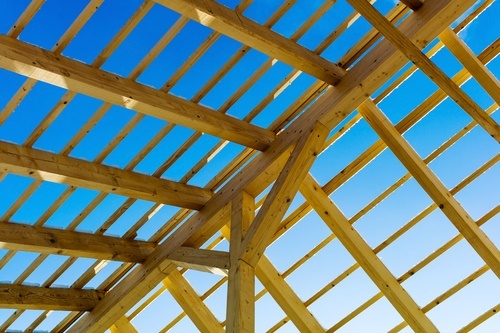 The latest Statistics New Zealand figures  for building consents in Auckland show a continuation of the flattening trend in recent months. That simply is not as it is meant to be. For the 10 months to the end of October there were 8,024 consents issued for new dwellings in the Auckland region. That's up about 9.5% on the 7,338 consented at the same time a year ago. If that 9.5% growth rate was extended to the whole year then we would see Auckland hit about 10,100 consents for the 2016 calendar year. Given the 3000-4000 a year rates of building in Auckland of the recent past, it could be argued this is not bad. But the Independent Hearings Panel , in its Auckland Unitary Plan recommendations earlier this year, put the current housing shortage in Auckland at 40,000 units and said 131,000 new dwellings - so, well over 18,000 a year - were needed in the next seven years to make up both the shortfall and to provide for expected growth. Auckland's population gain through migration alone this year is possibly going to be in the order of 40,000 people. At current rates of household occupancy this alone would necessitate over 13,000 new dwellings needed. And that's before you talk about natural population growth. The below table gives annualised (12 months ending October) consent figures for Auckland going back to the early 1990s, and also includes at the bottom the 10-month figure for 2016 so far. Figures from Stats NZ. Looking back at those figures it is interesting to note that during previous 'hot' times for Auckland housing construction the industry was able to ramp up the activity considerably more within the space of a year than has been achieved this time around, for all the Government posturing during this cycle. For example, between October 2001 and October 2002 there was a more than 4,000 increase in the number of dwellings built, while before that, between October 1998 and October 1999 there was an over 3000 increase. We haven't seen close to those numbers in terms of increases since the low point of 2011. And no, the current rate of increase is not 'all part of the plan' - because the Government was looking at achieving much better rates of growth than have been seen. Looking back at the Ministry of Business, Innovation and Employment's National Construction Pipeline Report  issued in July 2015 and trumpeted by  the then building AND housing minister Nick Smith, it can be seen, as per the graph below, that just a year and a half ago, the thought was that Auckland would get well over 13,000 dwellings consented in this calendar year. The shortfall between that projection and what's likely to be produced is in the order of 25%. To put it more meaningfully, there will be housing for about 10,000 fewer people this year than was projected about 18 months ago. Moving on a year to July 2016 and MBIE had another go, with another 'pipeline' report, again trumpeted by Smith , which incorporated some subtly tweaked forecasts for Auckland. However, the forecasts were still projecting as many as 12,000 consents for this year. That forecast, publicly released only a matter of months ago (as seen below), is likely to fall around 2000 homes short - or around 17%. At current rate of progress and with the recent flattening of activity in Auckland, the over 13,000 consents forecast for 2017 look a stretch too. The 18,000 a year suggested as necessary by the Independent Hearings Panel earlier this year looks pie in the sky. The Government is belatedly taking a more hands-on approach to physically getting houses built through government agencies and initiatives, rather than by simply encouraging 'the market'. So it will be interesting to see what further direct initiatives - as it surely must - the Government comes up with in election year. Any efforts to fob the problem off purely to the Auckland Council are unlikely to be well received by the electorate - even if that's what the Government might want to do. In that regard, the dropping of the housing minister title has been a regrettable bad sign of intent. I think come Budget time we will see some movement from the Government. Anything less and the opposition parties will be clambering all over this issue - and likely getting traction.